FINAL SALE. 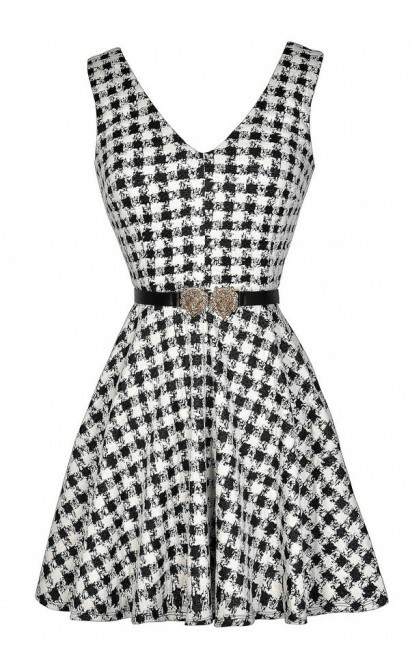 The classy black and white pattern design on this dress is amped up with a fun metallic gold lion belt. 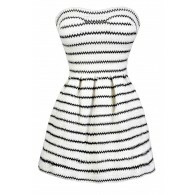 The Flair For The Dramatic Belted Black and Ivory Dress is lined at the bust. 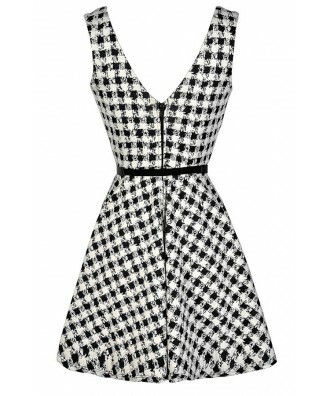 It is made of a soft cotton blend fabric with a contrasting black and ivory design throughout. 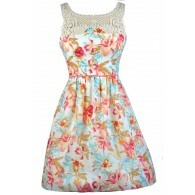 It has a subtle V neckline, wide shoulder straps, an empire waist, and a fit and flare cut. An included belt with two gold lion heads wraps around the waist and adds contrast to this fun look. A hidden back zipper completes this dress. 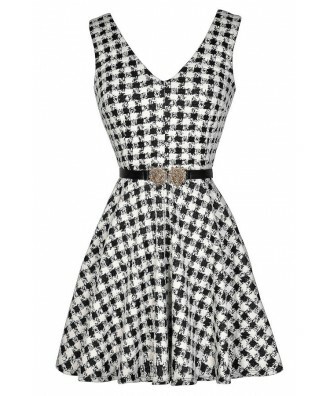 The Flair For the Dramatic Belted Black and Ivory Dress looks cute paired with black tights and pumps or heels. 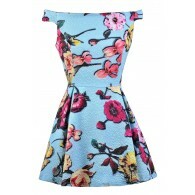 Toss a fitted jacket or cardigan over this dress on cool evenings. Details: Lined at bust. Belt included. Hidden back zipper. 32% polyester, 65% cotton, 3% spandex. Lining: 100% polyester. Remove belt. Hand wash in cold water. Do not bleach. Line dry. Cool iron on reverse if needed. Small measurements: Length from top of shoulder to hemline: 32". Bust: 32". You have added Flair For The Dramatic Lion Belted Black and Ivory Dress into Wishlist. You have added Flair For The Dramatic Lion Belted Black and Ivory Dress for Stock Notification. 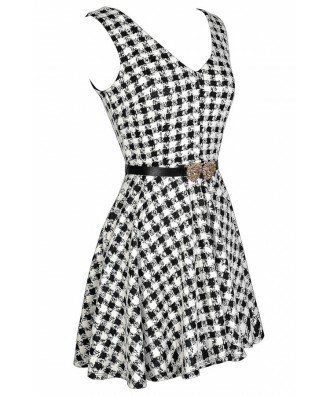 You have set Flair For The Dramatic Lion Belted Black and Ivory Dress as a loved product. You have removed Flair For The Dramatic Lion Belted Black and Ivory Dress as a loved product.